Chris is entering his first season with the Barons U18 team after heading up the John Carroll University program for 13 seasons. Coach Wilk has 25 years of Head Coaching experience at the ACHA Division I college level, earning 324 wins during that span at Kent State and John Carroll University. During his tenure at JCU, the Blue Streaks have been a strong contender in College Hockey Mid-America and the ACHA Div I National picture, having won their first league title and qualified for the first National Tournament in team history, in 2013. Coach Wilk has guided the Bluestreaks to five winning seasons in the last 7 years, 2 National Tournament appearances, and lead JCU to back-to-back CHMA Playoff Championships in 2017 & 2018. 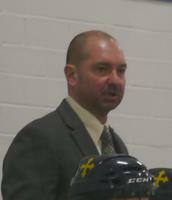 Prior to John Carroll, Coach Wilk spent 12 seasons as the Head Coach with Kent State University where his teams earned three ACHA Division I National Tournament Appearances and were consistently ranked in the Top 20 Nationally. In addition to coaching Chris teaches Sport Studies at John Carroll University and Kent State University. Chris has served as the Executive Director for the American Collegiate Hockey Association for 14 years and has served on the American Hockey Coaches Association, Board of Directors. Coach Wilk is a two-time CHMA Coach of the Year (2012 & 2013), received the ACHA Don Spencer Award in 2010 for “Dedication and Services” and the Sports Development Gold Medal Award in 2013 from the Greater Cleveland Sports Commission. Jeff is entering his second season with the U18 Barons. Wells brings a wealth of experience to the program. After playing 4 seasons at Bowling Green State University, where Jeff notched 105 points and was named captain and an All-American his senior season, he went on to play over 600 games as a professional, tallying 307 points, with stops in the AHL, IHL and the ECHL. 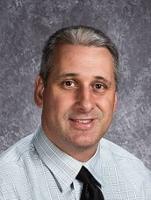 Jeff earned his Master’s Degree in Educational Administration from the University of Akron and currently serves as a Principal in the Green Local School District.